Minister for Education, Dr. Gale Rigobert, has reiterated the Government’s commitment to the youth of the nation in the wake of Universal Children’s Day which was celebrated by several countries on Sunday, November 20, 2016. The Minister, who recently returned to Saint Lucia from the Climate Change Conference, in Morocco, on Monday underlined that the Government will continue to ensure there are policies and laws in place to protect the nation’s youth. According to Dr Rigobert, says it’s time to engage in some very critical introspection given some of the ghastly news that greets us. She is calling on citizens to pause and to ask themselves what more can be done to offer greater protection and greater opportunity for the nation’s children. 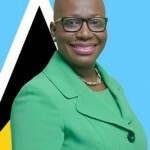 With the appointment of a new Attorney General, Dr Rigobert says the government has expressed the need to strengthen the legal framework to offer greater levels of protection to children.